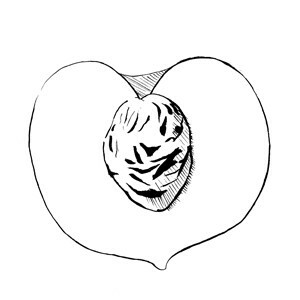 A single-seeded (but sometimes a few), indehiscent fruit with 3 layers: thin exocarp, fleshy mesocarp, and bony endocarp. Common in genus Prunus (Rosaceae). ©2019 Shiu-Ying Hu Herbarium, School of Life Sciences, The Chinese University of Hong Kong.